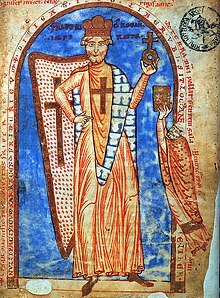 1190 Third Crusade: Frederick I Barbarossa drowned in the river Saleph while leading an army to Jerusalem. 1539 Council of Trent: Paul III sent out letters to his bishops, delaying the Council due to war and the difficulty bishops had travelling to Venice. 1619 Thirty Years’ War: Battle of Záblatí, a turning point in the Bohemian Revolt. 1624 Treaty of Compiègne, signed between France and the Netherlands. 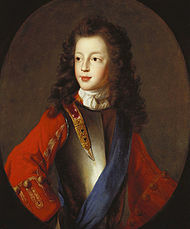 1688 Prince of Wales, James Francis Edward Stuart was born (d. 1766). 1692 Salem witch trials: Bridget Bishop was hanged at Gallows Hill for “certaine Detestable Arts called Witchcraft & Sorceries”. 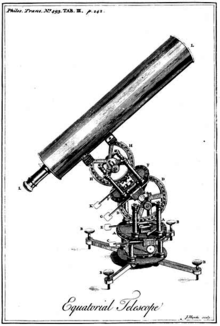 1710 James Short, Scottish mathematician, optician and telescope maker was born (d. 1768). 1719 Jacobite Rising: Battle of Glen Shiel. 1770 Captain James Cook ran aground on the Great Barrier Reef. 1793 The Jardin des Plantes museum opened in Paris. 1793 – French Revolution: Following the arrests of Girondin leaders the Jacobins gained control of the Committee of Public Safety installing the revolutionary dictatorship. 1805 First Barbary War: Yussif Karamanli signed a treaty ending hostilities with the United States. 1829 The first Boat Race between the University of Oxford and the University of Cambridge took place. 1854 The first class of the United States Naval Academy students graduated. 1864 American Civil War: Battle of Brice’s Crossroads – Confederate troops under Nathan Bedford Forrest defeated a much larger Union force led by General Samuel D. Sturgis. 1871 Sinmiyangyo: Captain McLane Tilton led 109 Marines in a naval attack on Han River forts on Kanghwa Island, Korea. 1886 Mount Tarawera erupted, killing 153 people and destroying the famous Pink and White Terraces. 1898 Spanish-American War: U.S. Marines landed in Cuba. 1901 Frederick Loewe, Austrian-born composer, was born (d. 1988). 1906 Liberal Prime Minister Richard Seddon died at sea while returning from Australia to what he called “God’s Own Country”. 1910 Robert Still, English composer, was born (d. 1971). 1915 Saul Bellow, Canadian born writer and Nobel laureate was born (d. 2005). 1918 The Austro-Hungarian battleship SMS Szent István sank after being torpedoed by an Italian MAS motorboat. 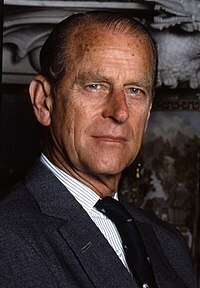 1921 Prince Philip, Duke of Edinburgh, was born. 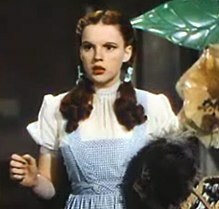 1922 Judy Garland, American musical actress, was born (d. 1969). 1923 Robert Maxwell, Slovakian-born newspaperman was born (d. 1991). 1924 Fascists kidnapped and killed Italian socialist leader Giacomo Matteotti. 1935 Dr. Robert Smith took his last drink, and Alcoholics Anonymous was founded by him and Bill Wilson. 1940 Augie Auer, US born New Zealand meteorologist and television presenter, was born (d. 2007). 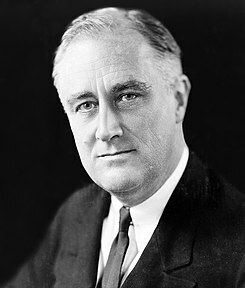 1940 – World War II: U.S. President Franklin D. Roosevelt denounced Italy’s actions with his “Stab in the Back” speech at the graduation ceremonies of the University of Virginia. 1940 – World War II: German forces, under General Erwin Rommel, reached the English Channel. 1940 – World War II: Canada declared war on Italy. 1940 – World War II: Norway surrendered to German forces. 1942 World War II: Nazis burnt the Czech village of Lidice in reprisal for the killing of Reinhard Heydrich. 1944 World War II: 642 men, women and children were killed in the Oradour-sur-Glane Massacre in France. 1944 – World War II: In Distomo, Boeotia Prefecture, Greece 218 men, women and children were massacred by German troops. 1945 Australian Imperial Forces landed in Brunei Bay to liberate Brunei. 1947 Saab produced its first car. 1957 John Diefenbaker led the Progressive Conservative Party of Canada to a stunning upset in the Canadian federal election, 1957, ending 22 years of Liberal Party rule. 1965 – Vietnam War: The Battle of Dong Xoai began. 1967 – Six-Day War ended Israel and Syria agreed to a cease-fire. 1973 John Paul Getty III was kidnapped in Rome. 1977 – Apple shipped its first Apple II personal computer. 1980 The African National Congress published a call to fight from their imprisoned leader Nelson Mandela. 1996 Peace talks began in Northern Ireland without the participation of Sinn Féin. 1997 Khmer Rouge leader Pol Pot ordered the killing of his defense chief Son Sen and 11 of Sen’s family members. 1999 Kosovo War: NATO suspended its air strikes after Slobodan Milošević agreed to withdraw Serbian forces from Kosovo. 2001 Pope John Paul II canonized Lebanon s first female saint Saint Rafqa. 2002 The first direct electronic communication experiment between the nervous systems of two humans was carried out by Kevin Warwick in the United Kingdom. 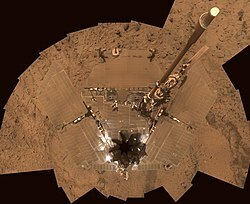 2003 The Spirit Rover was launched, beginning NASA’s Mars Exploration Rover mission. You are currently browsing the Homepaddock blog archives for the day Friday, June 10th, 2011.